We know that some people would like to enjoy the festival experience without the hassle of bringing a tent and sleeping under the stars so Fernhill Farm have put together some great packages for a limited amount of luxury accommodation on the farm. 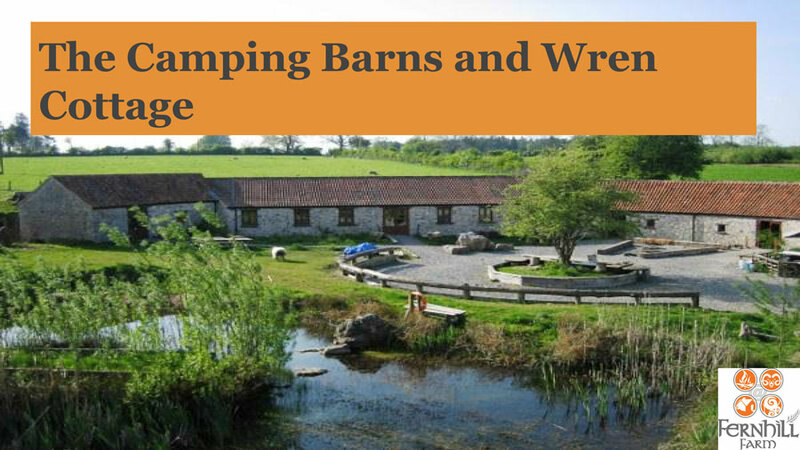 Accommodation options include the luxury Wren Cottage and Basement, private arcs, and bunk beds in the communal Hive Hall (ideal for larger groups). These include the use of a private, self-catering kitchen which makes it ideal for people with specialist dietary requirements. Hive Hall sleeps 10 in 5 bunk bed units. Minimum booking one unit (includes top and bottom queen bunk). As well as large bunk beds you will have access to: a lounge bar with comfy seating and space to relax; a large dining room with piano: a large fully fitted catering kitchen, male and female showers and loos, plus two wet rooms. Underfloor heating throughout. There is a courtyard with seating areas for starry nights. We have three unique arcs that can sleep 4-8 people each. They are our ‘Fernhill style’ shepherd huts with fleece insulation and timber interiors, enjoying electricity and heating with easy access to showers and loos. The Arcs are located in our camping field for the festival.